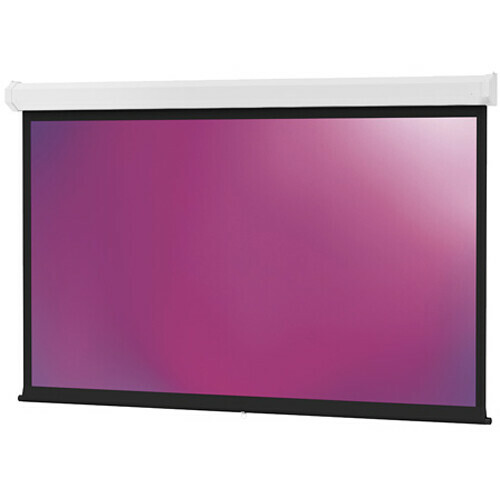 The Dalite 45 x 80" Model C Manual Front Projection Screen is a perfect choice for either a large lecture or seminar hall, or conference/training room. 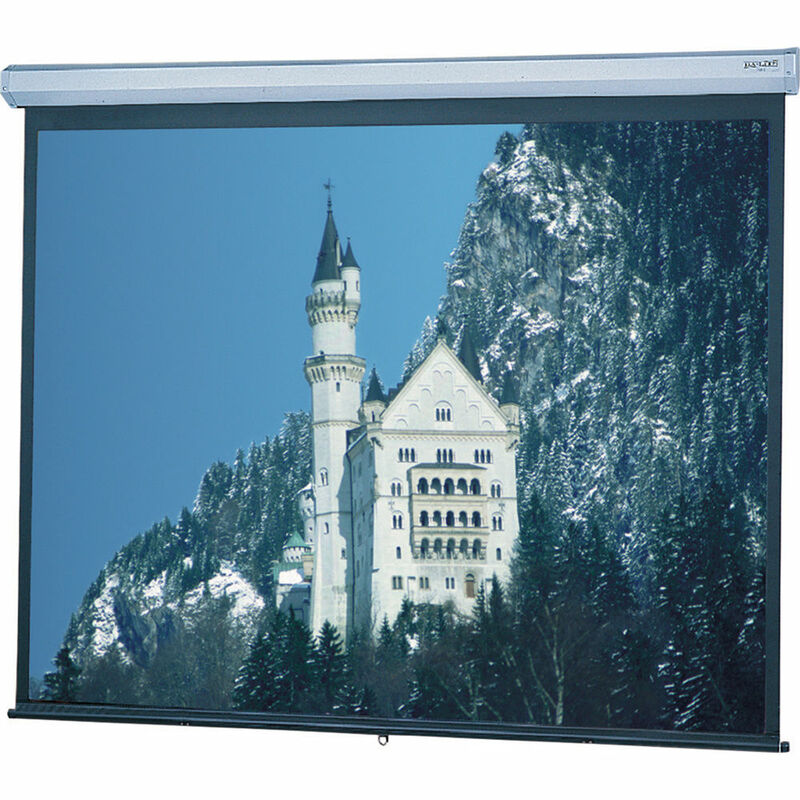 The screen is designed for heavy use and features lubricated steel ball bearings for a smooth operating system. The screen is accessed via a pull cord. As an option, you can purchase the screen in any one of seven veneer finishes to give it a more professional, finished appearance. If you prefer not to choose a veneer or laminate, the screen will come with a white casing. In addition, you can also purchase floating brackets which allow the screen to be either wall or ceiling mounted but which also give you the freedom to align the system left/right. Note: Veneers include: Honey Maple, Medium Oak, Heritage Walnut, Mahogany, Light Oak, Natural Walnut, and Cherry. Cases with Honey Maple, Light Oak and Medium Oak. Cases with Honey Maple, Light Oak and Medium Oak finishes come standard with white end caps. Cherry, Mahogany, Natural Walnut and Heritage Walnut cases come with black end caps. Box Dimensions (LxWxH) 94.0 x 8.0 x 6.0"